This is an inflammation that damages tissues of the esophagus, the muscular tube that delivers food from one's mouth to the stomach. 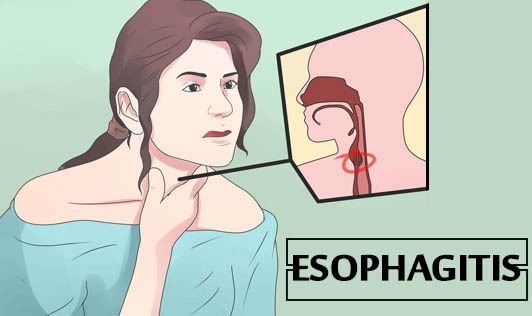 Esophagitis often causes pain, difficulty swallowing and chest pain. The causes of this condition include stomach acids backing up into the esophagus, oral medications, infection and allergies.